Air Conditioning Sydney Guys owns on giving pleasant practical service to the neighborhood as well as provides the best of air conditioning in Sydney. We believe in supplying the best item which quickly controls temperature and also reputable service at an affordable price to all customers. Air Conditioning Guys was founded in 2006 with the objective to give the best quality air conditioning to all of Sydney. Design Smart Building believes in the mantra of Smart Design. Smart Design promotes improving the quality of your life through building better homes that are comfortable to live in, cost effective to maintain and run and incorporating a minimal impact on the environment. Urban Air Conditioning is a finest service provider of all kind of air conditioning system repair, installation service provider. We offer services for homes and businesses. We are fully licensed and insured air conditioning firm. We provide professional heating and cooling services for a wide variety of residential and light-commercial needs. Based in Sydney, Radiant Heating and Cooling Solutions is a leading Australian hydronic heating and cooling solutions provider. We strive to meet the stringent European BS EN1264 standards, and have chosen to do so to maximise the systems efficiency and comfort using in floor and ceiling heating. All our heating and cooling solutions offer a full service delivery package including design, drawings, supply, installation and market-leading after sales support. For those who want just a part of that service, we can help with that also. We work with some of Australia’s most innovative architects, commercial development companies, residential construction companies and home owners providing in house engineered hydronic heating systems, in-floor and radiators, pool heating and hot water supply using a combination of solar storage and collection resulting in a lighter carbon footprint and possibilities of future financial enhancement for individuals and/or your clients, This is simply a snapshot of what we do to help you maximize the efficiency of your project/dream home. 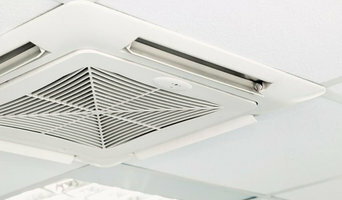 Expella specialises in ventilation solutions for the modern home. Expella has various exciting innovations such as the odourless toilet, silent bathroom ventilation, humidity sensors and more! - Keep your home fresh and odourless - Eliminate mould and moisture - Reduce heating and cooling costs - Industrial fans and options available Australian owned and operated. 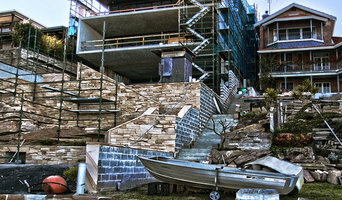 Building your dream home and want to create that perfectly comfortable feeling? 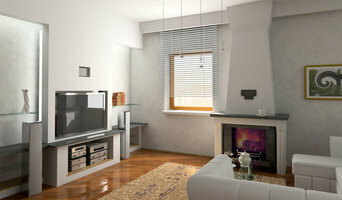 Luxury Heating are specialists in central heating systems for new homes. Whether you have polished concrete, beautiful carpets or timber flooring, we can install a high-efficiency underfloor heating system to keep you and your family warm, comfortable and healthy through the cold winter season. We've all lived in houses that had freezing cold floors in winter, condensation running down the windows in the morning and mould building up in the bathroom. Surely, in the age of smartphones, jet travel and online shopping we don't need to live like cavemen? You deserve more in your dream home! If you have some plans drawn up for your new building project, then get in touch with us and we'll talk you through your options to create luxurious t-shirt weather in your home all year round. 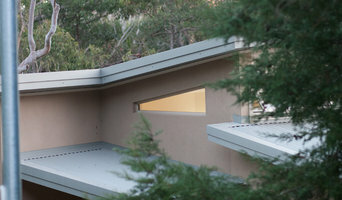 Peninsula Air Conditioning Pty Ltd is based in Warriewood on the Northern Beaches of Sydney. It was established in 1999 offering air conditioning solutions to homes and businesses across the Northern Beaches, North Shore, Inner West and Eastern Suburbs. Under new ownership from 2007, this family run air conditioning business has steadily grown to become one of the largest on the Northern Beaches. We have a keen focus on customer service and are keen on revoking the ‘Tradie’ reputation. SWIFT AIR CONDITIONING is a leading Air Conditioning company based in Sydney. With over 15 years experience, our company has taken a comprehensive approach to providing our clients with a wide range of air conditioning services to cover all of their needs. A home grown Australian company, Amuheat proudly offers radiant heating solutions featuring the very best in design and energy efficiency. From our flagship products, our electric & hydronic underfloor heating systems, to our energy saving smart thermostat controls, to our ability to custom design & manufacture custom radiant heating solutions for unique commercial applications, we are confident you will find every need for radiant floor heating in and around homes and commercial spaces met by our range of quality products and services. Comfort Heat are both suppliers and installers of world leading Electric and Hydronic underfloor heating. From small bathroom renovations to residential and commercial new builds we offer the most effective and efficient heating systems for any budget. Speak to Comfort Heat about designing a superior floor heating solution for you. Airconditioning-Online are air conditioning specialists and national suppliers of the latest leading Air conditioning systems which we sell at wholesale prices. We have also authorise dealers and deliver our air conditioning systems and products Australia wide. We aim to provide leading brands at affordable prices and are committed to providing quality service at the same time. Our background is over 10 years experience in Sales, Service, Repairs and Installation of all air conditioning systems in the Residential and Commercial environments. We are Arctick certified, Fully licensed and hold relevant insurances. Airconditioning-Online has been created to provide quality air conditioning systems, provide customers with access to the latest products, technical specifications, technical advice, wholesale prices and unbiased information 24hrs/7 days a week. Trade enquiries are welcomed and volume discounts are available. At home, Australians use, on average, 40 per cent of energy on heating and cooling, so it’s wise to seek expert advice from a HVAC contractor in Bellevue Hill, New South Wales on the most economical systems and models for your home. Your climate, the type of model you use and where you position it, for instance, will make a big different to your home’s comfort and how much energy you use. A HVAC contractor can also advise you on the best reverse cycle air conditioners, heat pumps, hydronic central heating and gas heating. Should you or anyone in your family suffer from allergies, they are also knowledgeable of the best anti-allergen filters and will be able to change your air conditioner’s filters, clean ducts or remove any debris around units. Other areas of expertise include refrigeration work, pool heating and dehumidification. Find heating and air conditioning contractors on Houzz. Look in the Professionals section of our website and search for Bellevue Hill, New South Wales Heating and Air Conditioning contractors. 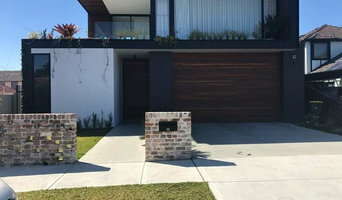 Read reviews and see how a HVAC contractor might approach your Bellevue Hill, New South Wales home’s heating and cooling challenges.